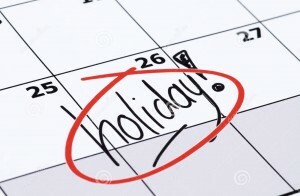 Check the availability of your chosen cottage/date below, then phone or email us to provisionally reserve that date (please leave a message if we can’t get to the phone and we’ll call you back to confirm availability). Download a Booking Form (below) and return it to us with your payment. Details of how to pay are on the Booking Form. We normally reply to enquiries and receipt bookings by email but please include a contact telephone number in your enquiry so we can call to discuss your requirements if necessary. Short breaks are available between October and May, although we may have a cottage available for a short break at other times so please do email or phone us to check availability. Prices shown below are based on 7 nights commencing on a Friday (unless otherwise stated) but short breaks are available – contact us for prices with your preferred dates. Westerclose is such a lovely place for a holiday with our dogs and horses – complete peace and quiet, glorious views, beautiful elevated location but only 3 mins walk to village pub, shop and tearooms. Thank you Julian and Polly and we’ll be back soon to your lovely cottages.